Centerpieces and/or flower arrangements can be quite costly this time of year. 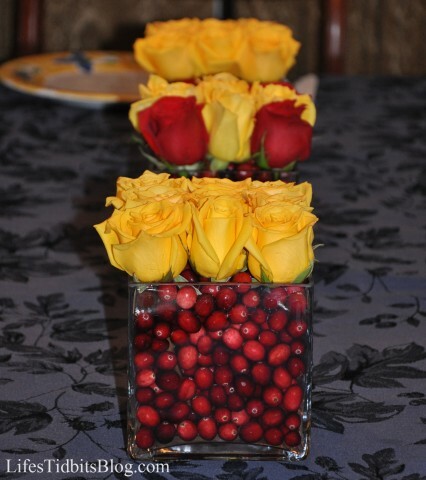 With Thanksgiving over and Christmas right around the corner it seemed like the perfect time to share the DIY rose and cranberry center pieces we make every Thanksgiving. My mom got the idea when walking through the flower section in Whole Foods a few years ago. My mother use to be in charge of making the arrangements, but then my sister took over. 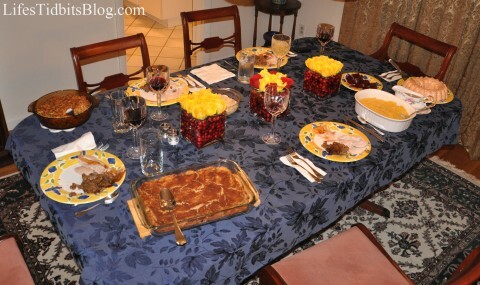 Check out our pretty Thanksgiving table will all the yummy food!! My sister was kind enough to let me document the process of the center piece creation this year. So here we go! 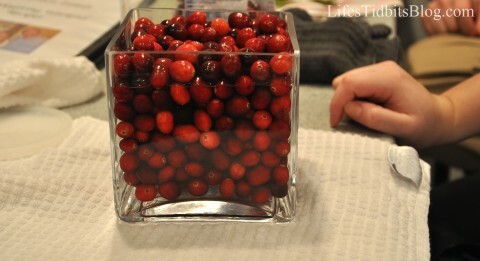 Place the cranberries in the square vases and add water (but not all the way to the top). 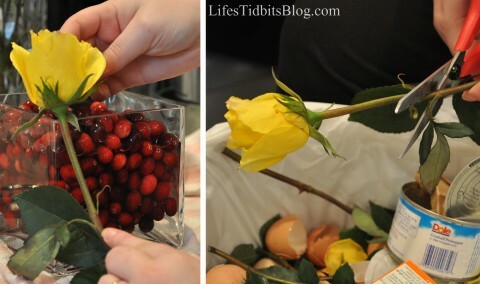 Remove the leaves from the rose stems and hold it up to the vase to determine how much stem to cut off. Cut off the stem. 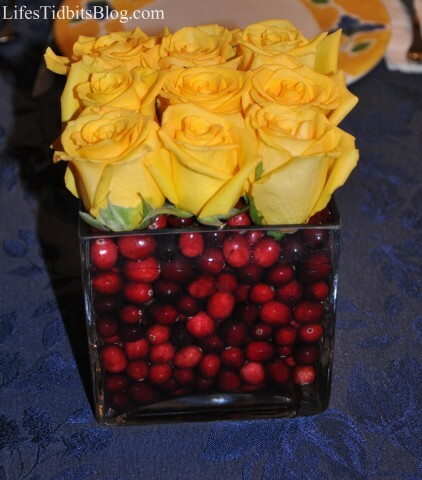 Push the rose into the vase between the cranberries. Then rinse and repeat!! 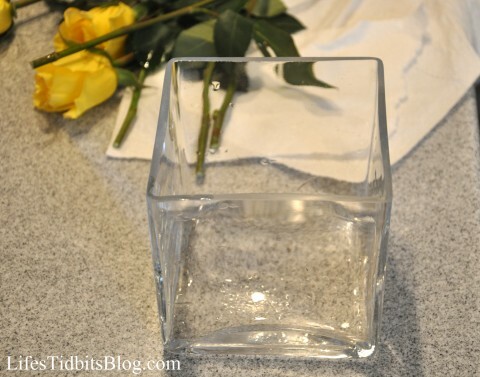 Each vase will hold about 9 roses depending on the size of the vase. 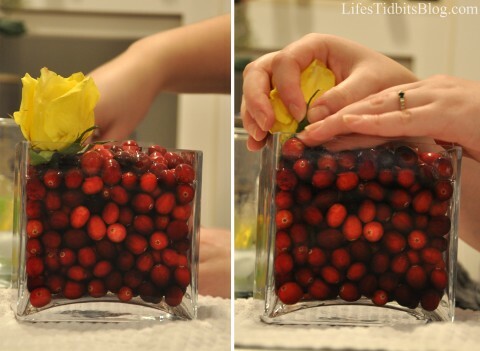 After you’ve put in all the roses add additional cranberries and water as needed so they are almost to the very top of the vase. In this end this is what you get. As you can see we miss counted the yellow roses this year and had to through in a few red ones. I think it still looks pretty cute! 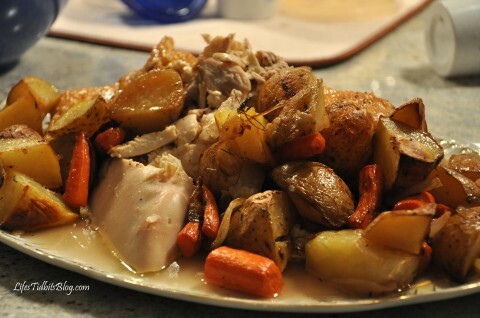 With Thanksgiving right around the corner I thought this would be the perfect time to share one of my favorite recipes for the holiday. This recipe was originally posted back in March, but I felt it was throwback worthy. 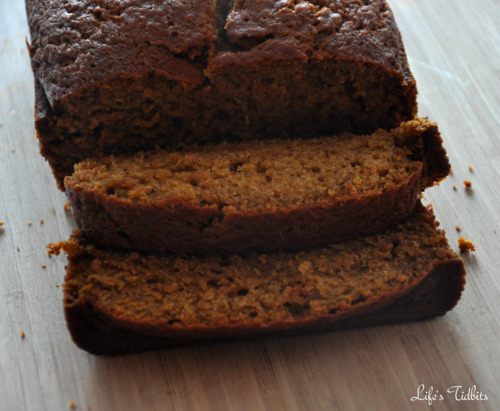 By the way I’ve never been a pumpkin pie, bread, etc lover, but this pumpkin bread recipe was a serious game changer!!! Below is the original post for throwback Thursday. Enjoy! 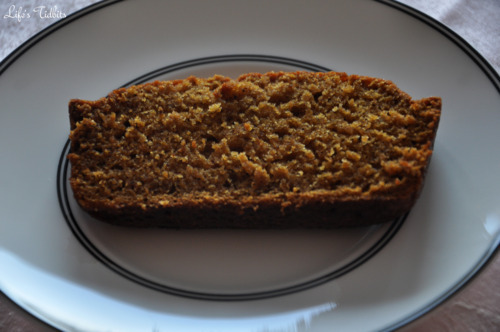 My sister and I found this recipe for pumpkin bread one fall afternoon when trying to decide what to make that wasn’t chocolate chip cookies. :) Cookies are our go to hang out and watch a movie snack. 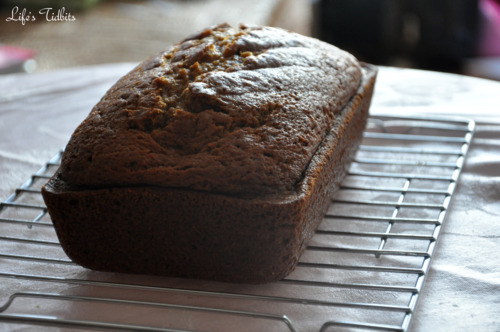 We ate nearly a whole loaf in one sitting (or really standing in the kitchen over the loaf of bread) it was THAT good! 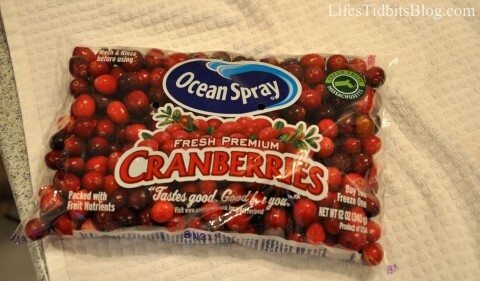 It’s now a must have item in our family for Thanksgiving dinner. Besides the canned pumpkin most items are staples and you probably already have the ingredients in your kitchen. 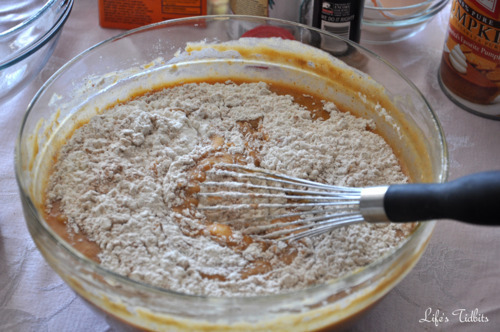 In a separate bowl sift the flour into a bowl. 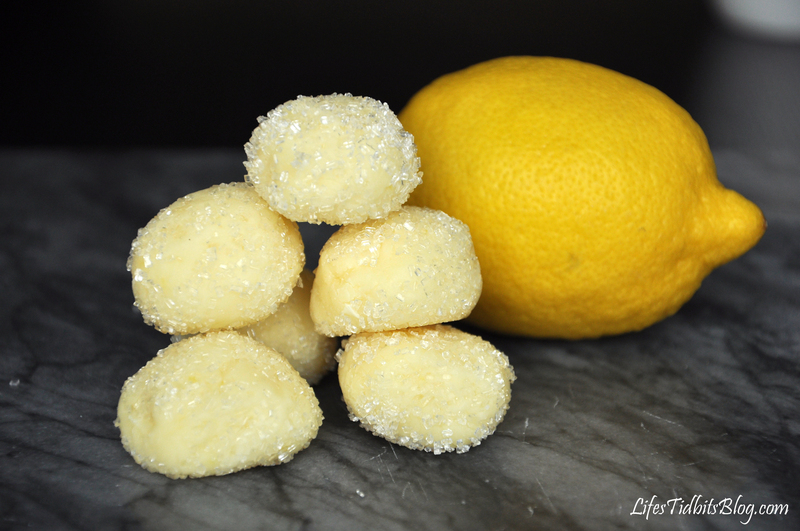 On your last cup of flour add the baking soda, baking powder, cinnamon, salt, nutmeg and cloves and sift together. 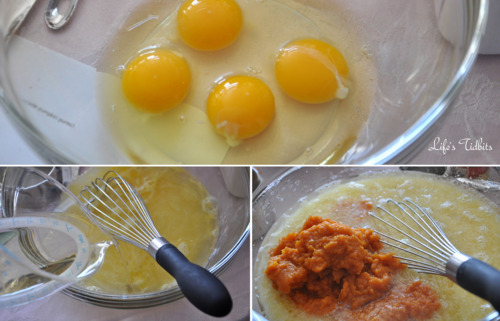 Combine pumpkin, sugar, water, oil and eggs in a bowl and beat together until mixed well. 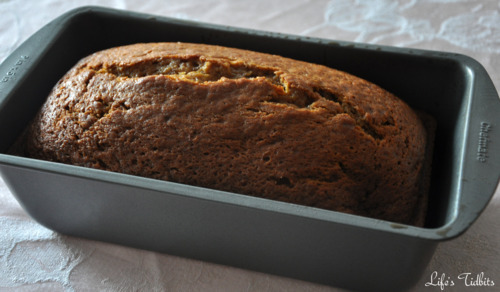 Grease two 9 x 5 inch loaf pans with Pam or any nonstick spray. 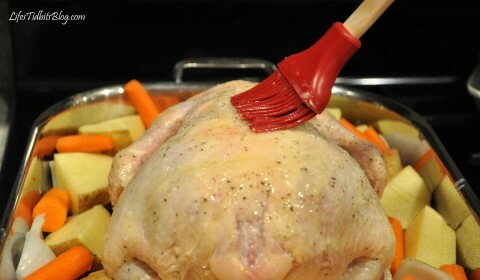 For easy clean up I recommend putting tin foil in the bottom of the pans first. 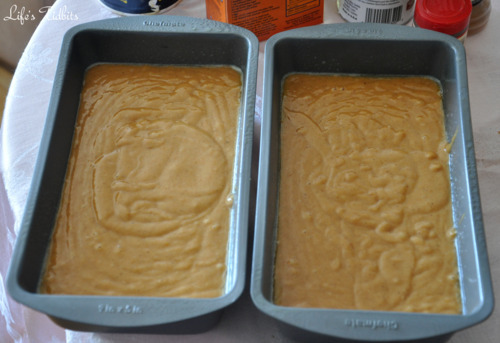 Pour the batter into the 2 loaf pans and try to evenly dividing the batter between the two. 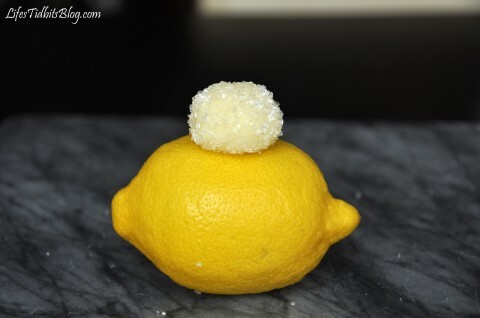 Bake at 350 degrees for 60-70 minutes or until a toothpick comes out clean. 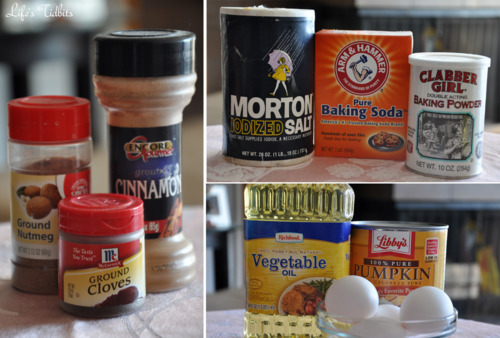 Get ready for your house/apartment to smells OH so YUMMY as the loafs cook! Remove from oven and allow loafs to cool before cutting. PEOPLE it is Tasty Tuesday! 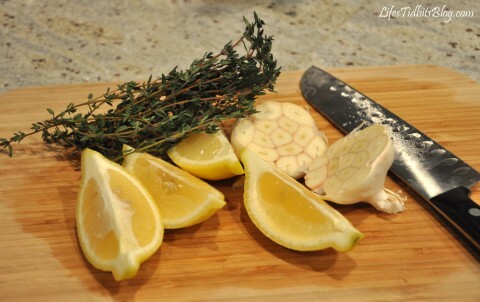 What are you making for dinner tonight? 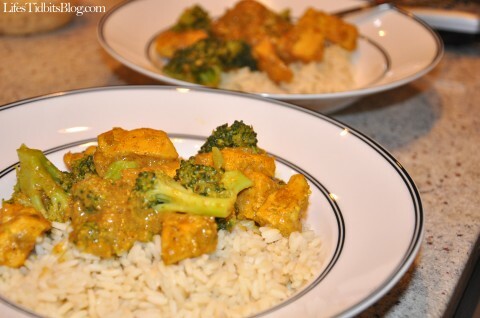 Last week I love made some spicy chicken curry for the hubby. 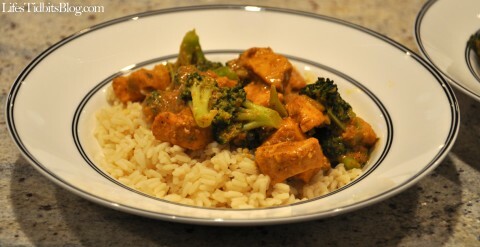 This take on chicken curry is definitely A LOT healthier than what you would get from a restaurant. If you don’t like spicy stuff I suggest not using any (or as much) jalapeno and use all regular curry powder instead of the hot madras curry powder. 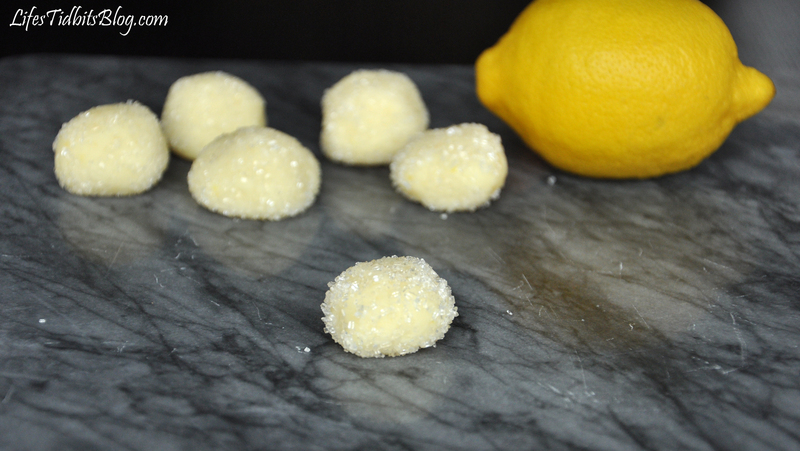 This recipe can totally be tweaked to fit your pallet and is pretty forgiving! 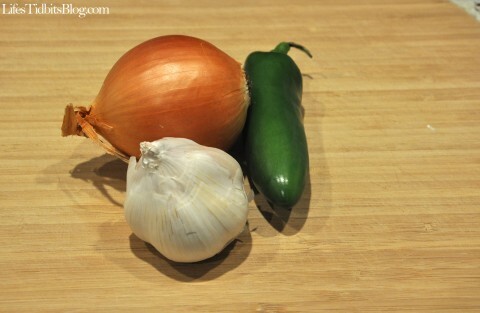 Chop the onion, garlic cloves and jalapeno. 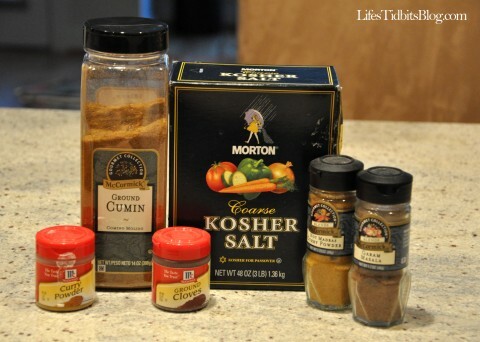 Get out all your spices so you have them ready to use. 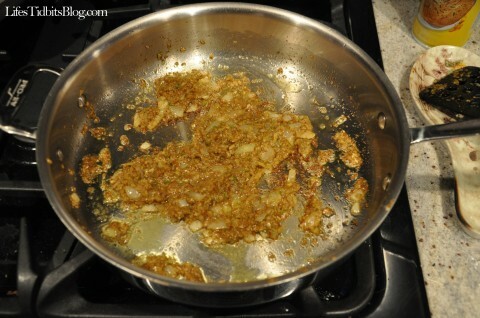 In a food processor combine the onion, garlic, jalapeno, garam masala, cumin, and cloves. Process to make a chunky paste. 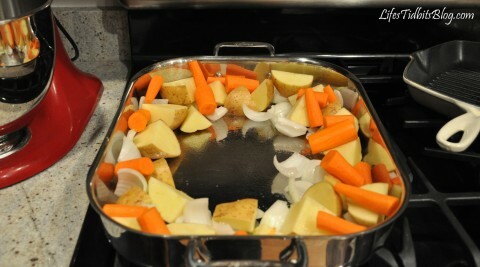 Heat the oil in a large Dutch oven over medium heat. 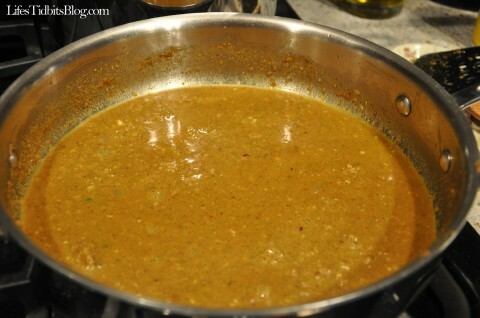 Add the onion mixture, curry powder, and 1/4 cup water. 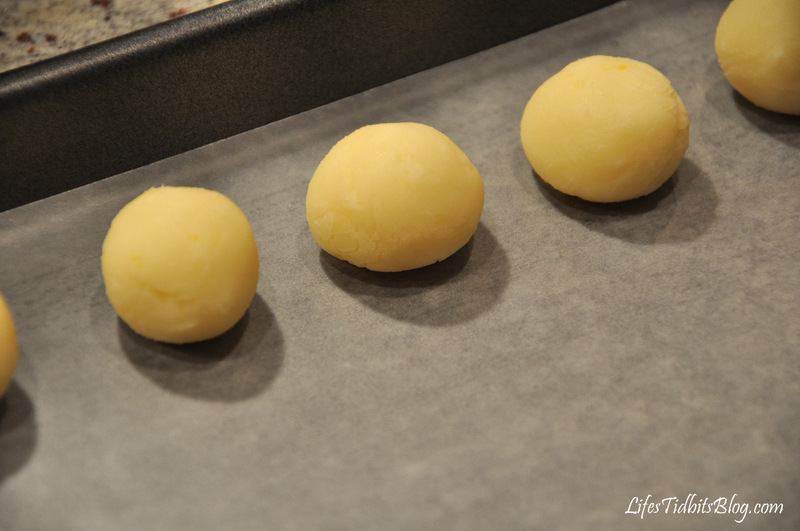 Let fry 4 to 5 minutes. 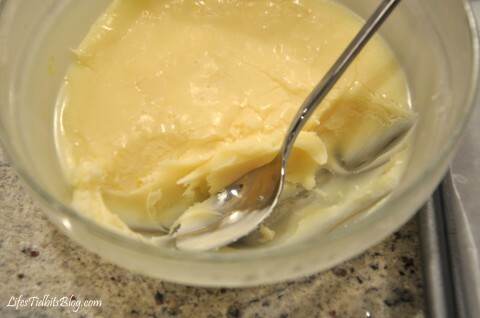 Add another 1/2 a cup of water as well as the 1/2 a cup of condensed milk. I like to precook the chicken on my grill pan, however you don’t have to. 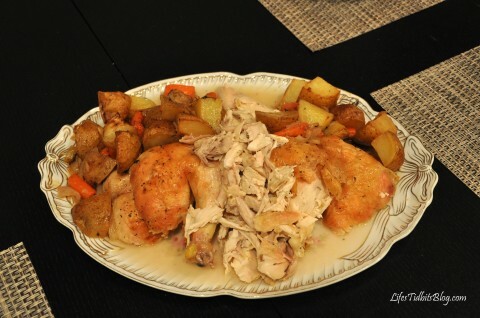 Precooking the chicken adds a pan to clean, but also speeds up the overall cooking time. 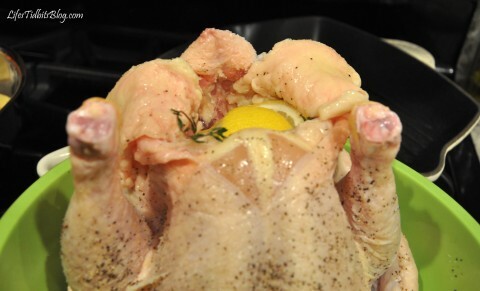 Add chicken pieces and salt to taste. Bring to a boil. 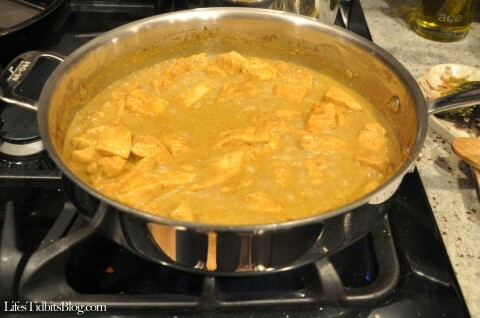 Simmer until the chicken is cooked through, about 30 minutes. 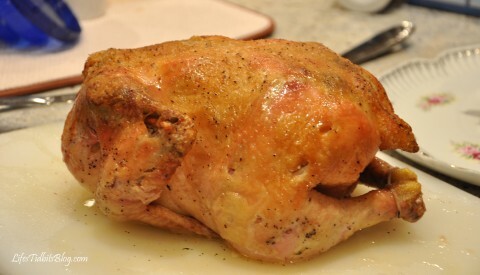 If you precooked the chicken I would say about 10 minutes instead of thirty. Add the steamed broccoli to the mixture. Serve over rice – makes about 5 servings.